Even birds can get an itch that they just can’t scratch. They work at it and work at it but it just doesn’t want to give, and by the time they’re done, their feathers are a mess! Feather picking is common in birds, and it’s usually a healthy process that helps birds keep their plumage clean. However, when birds are over-picking, or picking at an unusually high rate, it can be dangerous and even deadly! By over-picking their plumage, birds can open themselves up to dangerous health concerns. 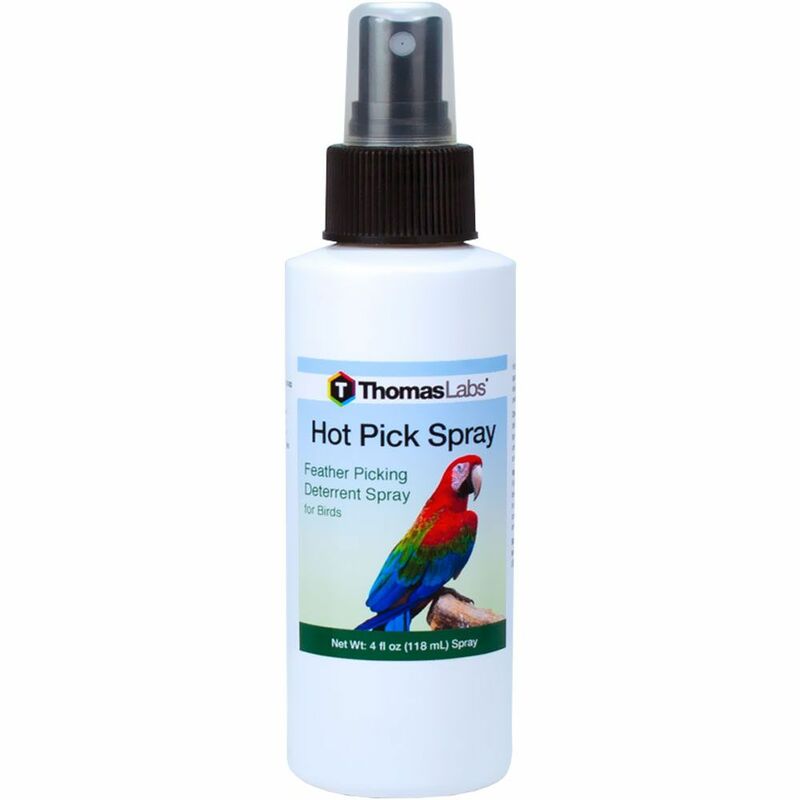 Thankfully, Hot Pick from Thomas Labs, a combination of natural herbs and hot spices, can be easily applied to your bird to help deter feather plucking and picking. It helps teach birds not to over-preen, plus it helps deter them from over-preening there in the future. 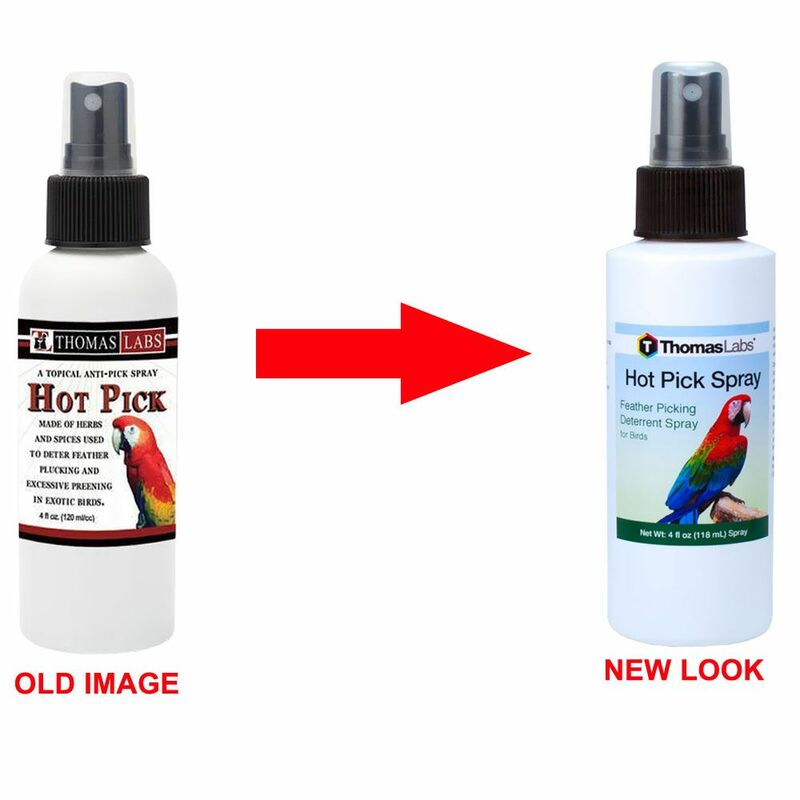 All pets need a little help with training now and again, and Thomas Labs makes it easy with Hot Pick. A quick little spray here and there and you’ve given your feathered friend the support he needs to start getting back to a healthy lifestyle. Pet and exotic birds: Apply to birds as needed. Apply lightly at first, increasing spray pattern and/or frequency until bird no longer over-preens at the site of application. Do not spray on food or water.